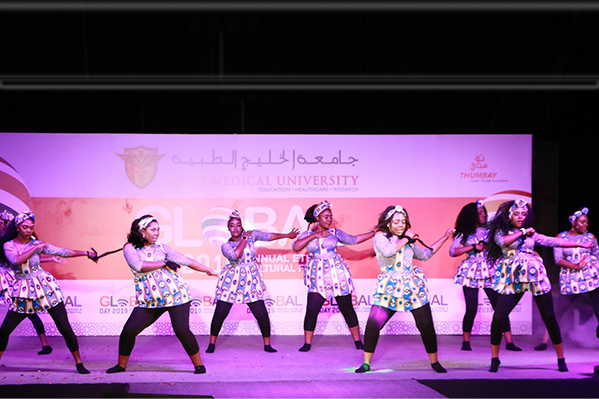 The annual Global Day celebrations of Gulf Medical University (GMU) – Ajman, a leading medical University in the Middle East region was celebrated with pomp and splendor at the University campus, on 2nd March 2019. Organized every year to appreciate the cultural diversity of the students and staff of GMU, the event was a convergence of cultural and traditions of the 80+ nationalities that form the student cohort of GMU. Prof. Hossam Hamdy, the Chancellor of GMU was the chief guest of GMU Global Day 2019. 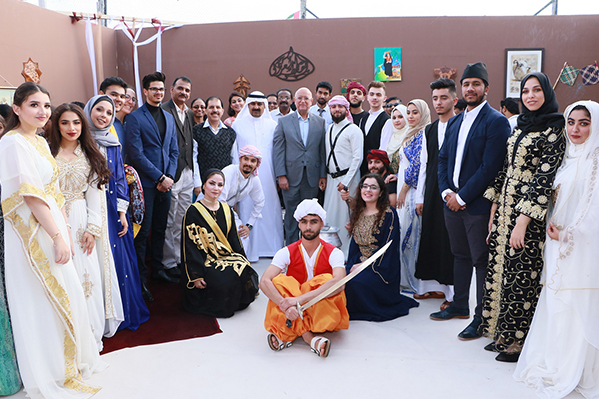 Accompanied by the Vice Chancellors and Deans, the Chancellor toured the country pavilions where students had exhibited the food and costumes, as well as other exhibits relevant to their culture and history. 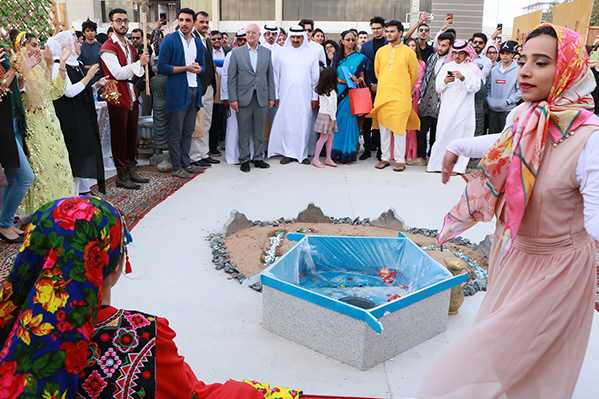 Country pavilions displaying glimpses from the culture and heritage of various countries and serving traditional food were set up at the University ground. 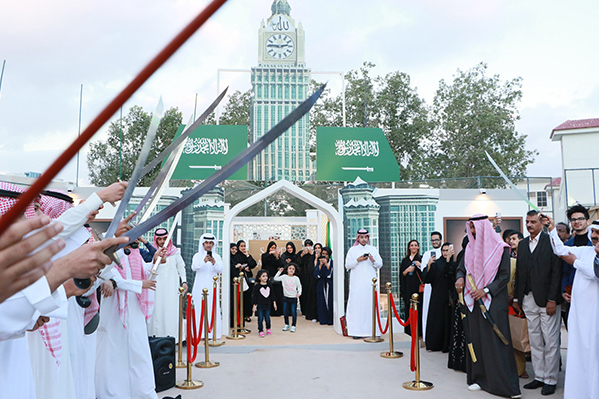 Pavilions were set up by students of UAE, other Middle East Countries, as well as Asian and African countries. 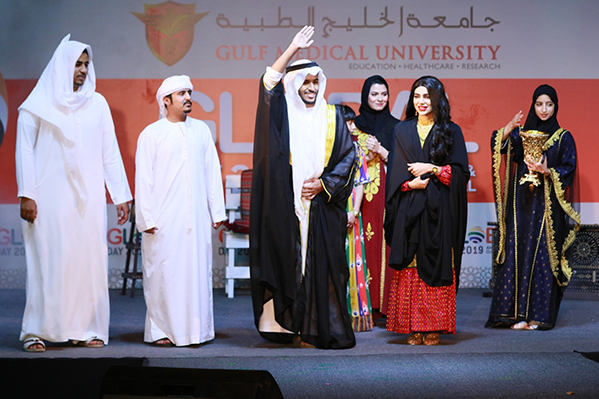 More than 4000 attendees including the students and staff of the University as well as their families and friends gathered at the University grounds to join the Global Day celebrations. 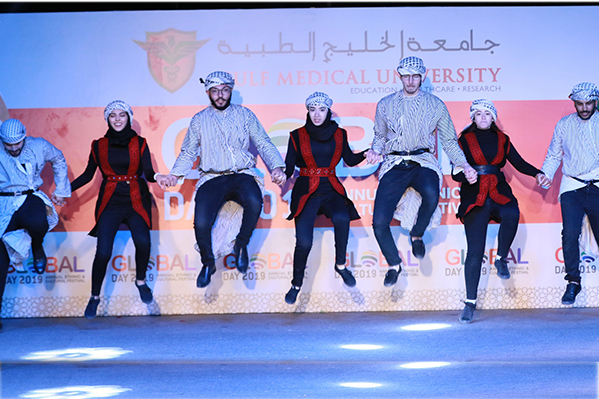 Admiring the students’ efforts, Prof. Hossam Hamdy said that the annual Global Day was an occasion to celebrate the togetherness of GMU’s students and staff, emphasizing the University’s ‘Unity in Diversity’. The evening also had colorful music and dance performances by the students dressed in their respective traditional attires and entertaining the audience with some great displays of talent. Prizes were awarded for the best performances. Prof. Manda Venkatramana, Vice Chancellor – Academics, gave away the prizes. 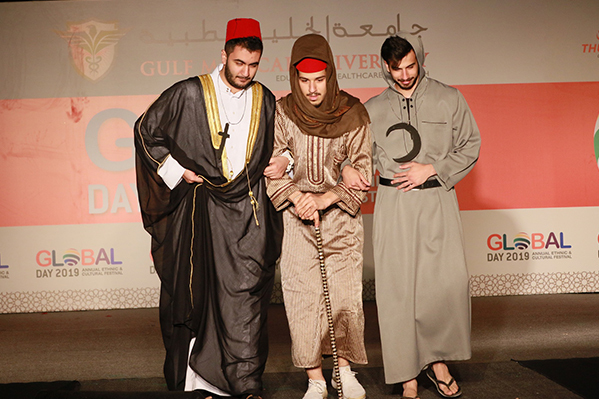 Celebrated every year, the GMU Global Day seeks to admire the unity in cultural diversity of GMU’s student community hailing from over 80 nationalities. 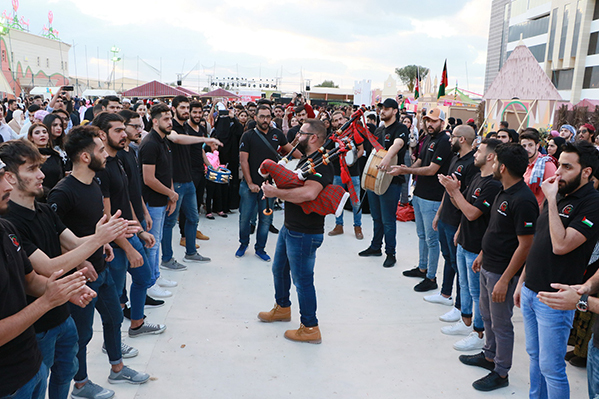 The event gives the students an opportunity to display the essence of their ethnicities and cultures, at the same time getting to know and appreciate each other’s culture.